Touring Singapore in one day was truly a bad idea, but I had no choice since I only had a limited time. The only reason why I went to Singapore was the much awaited Singapore Airshow 2014. Visiting some tourist spots of this country was already a big bonus. Thus, I still kept my hopes and energy high throughout the day. On top of that, I haven't had enough sleep prior this trip. A Beary Best Hostel became our home for four days. I never thought that I'd spend S$80 only for my accommodation. And the best part of it? 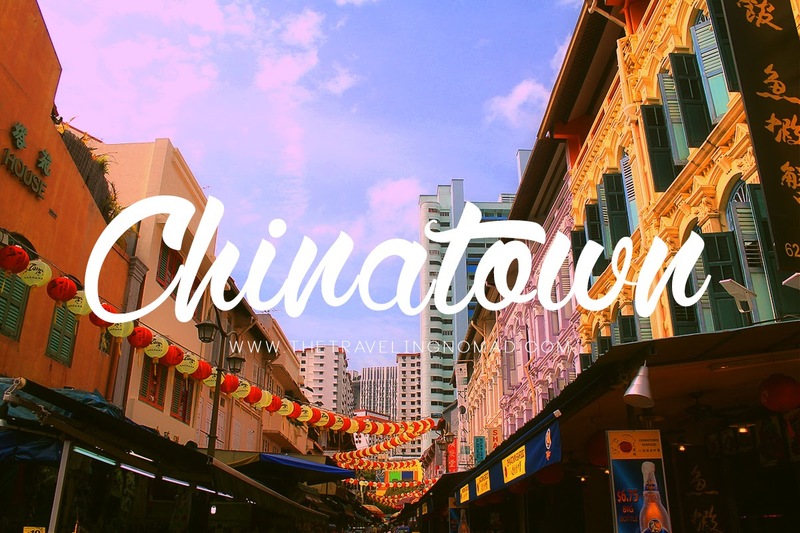 It is near the downtown area and the MRT Chinatown Station is just right in front of us. Easy to commute and navigate around the city. It really saved us time, resources, and energy. Going back, after settling our things, we went to the main street and took some photos. It was a good idea that I changed my attire from long pants to shorts. It was 10.30AM yet it felt like it was already noon. The air felt sticky and humid. The Singaporean heat was totally different compared to my country. Yes, I'm used with the humidity and heat in the Philippines but nothing compares the Singaporean heat. I swear to Vishnu, it drained half of my energy for the first thirty minutes of my tour. Here are some shots I took somewhere in Pagoda Street. 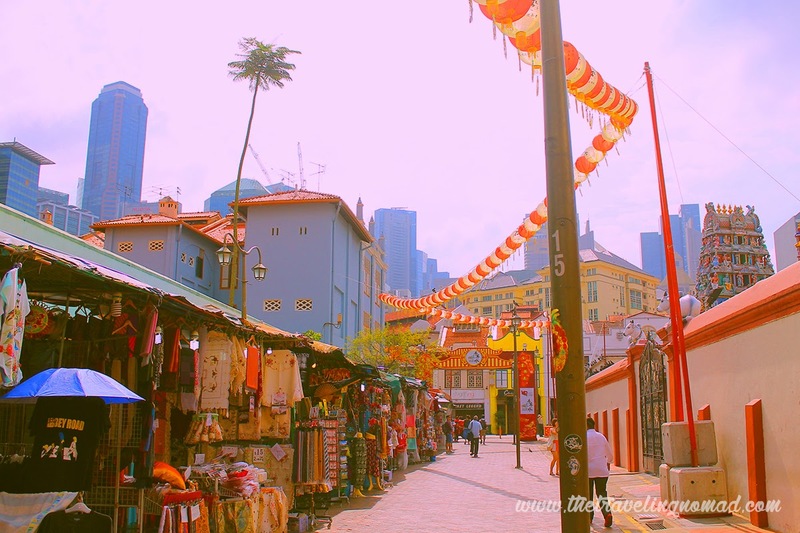 You see, the Singaporean Chinatown isn't really a hundred percent Chinese. I was a bit surprised when I saw this Hindi chapel within the area. The country is truly diverse in terms of culture. And oh, before I forget, there are lots of thrift shops in Chinatown. 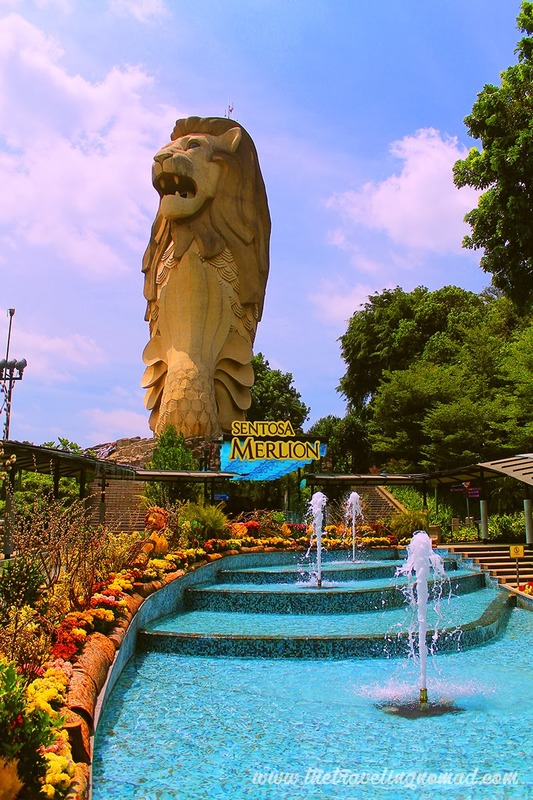 It's a perfect place for those who are planning to buy pasalubong for their loved ones like the famous Merlion keychains, ref magnet, and the "I'm a FINE tourist" shirts. After a hearty lunch at Vivo City, we visited and explored Sentosa Island. There are two ways to get there: one is through the monorail and the other one's through cable car. We chose the latter because it offered a great view of downtown Singapore and the island, but it comes with a price - one-way ticket of it costs S$26. I initially thought that the ride would take 45 minutes or more (the truth is, I was in denial because the ride had cost me S$26... multiply it by 36... you get my point), but I was wrong. The ride was only 10-14 minutes long. I didn't regret it though because (1) I ain't afraid of heights; and (2) I took a LOT of photos. LOL in denial pa rin! 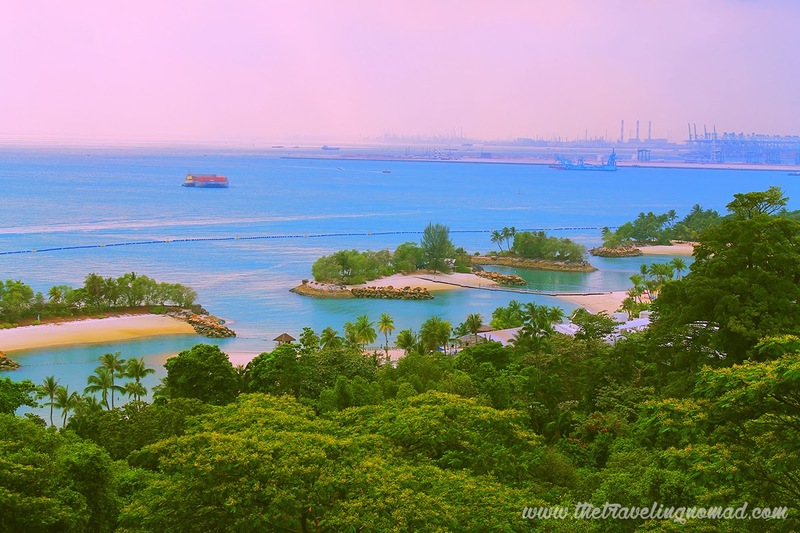 Sentosa Island used to be a crucial component of Fortress Singapore during the World War II. 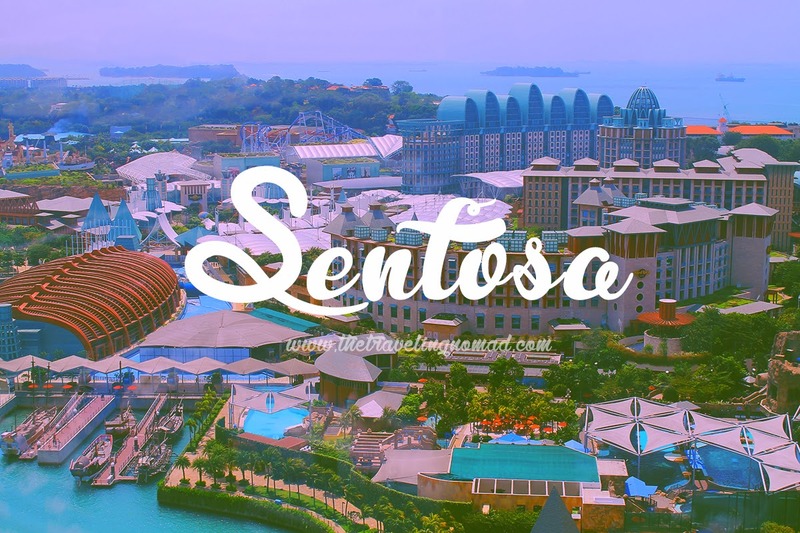 Shortly after Singapore gained its independence from the Malaysian Federation, the island was renamed "Sentosa", which means peace and tranquillity in Malay. Private firms and investors have since developed the island into what it is right now, an island resort. 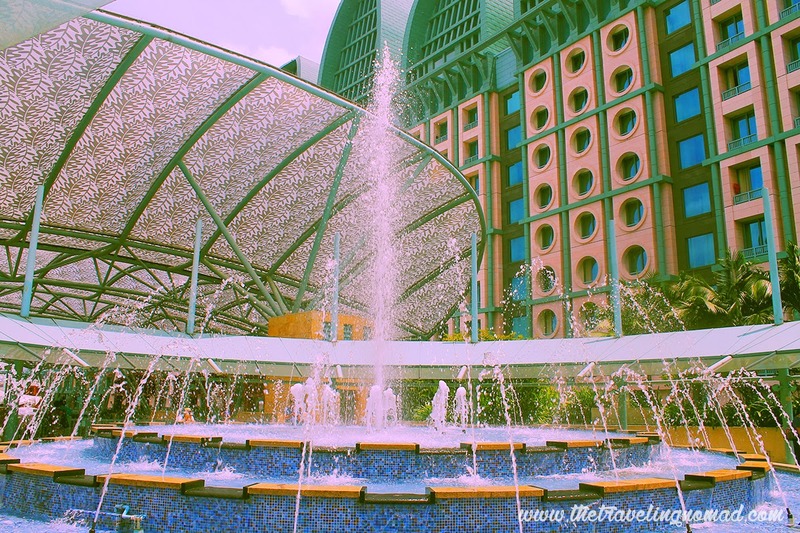 We also toured the complex of Resorts World Singapore and it's bigger compared to Manila's RW... not to mention that it is intricately decorated with fountains and expensive-looking chandeliers. Flowing water - good luck for Chinese. 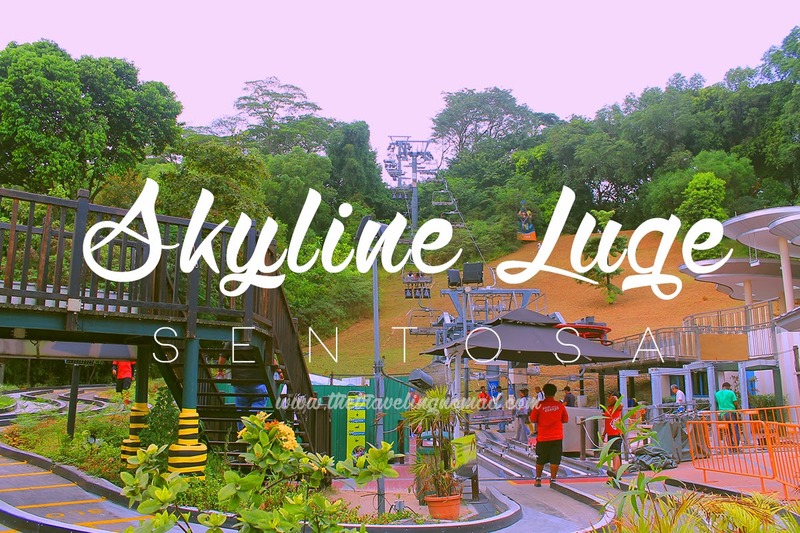 The Sentosa Island experience wouldn't be complete without trying the Skyline Luge Ride. It's one of the main attractions of the island and thrill-seekers would really love it. 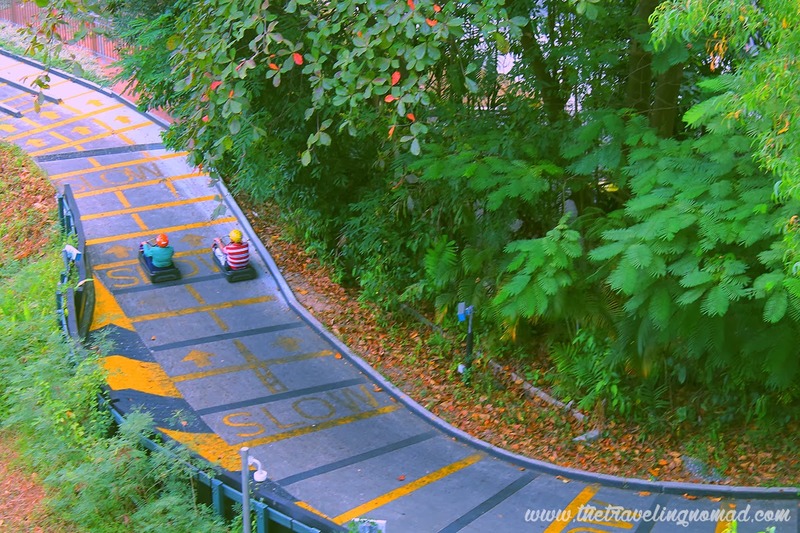 Before going to the top of the slope, the luge 'riders' would ride the skyline first before riding the mechanical car. 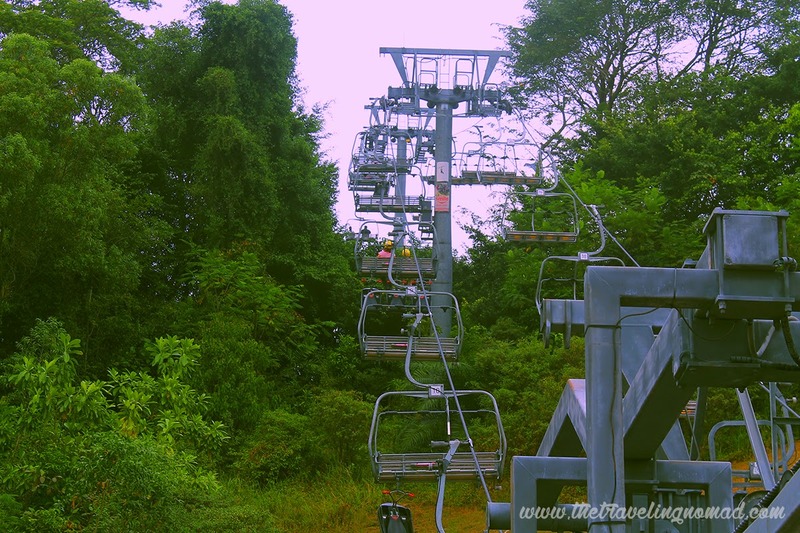 The ride to the top offered a great view of Fort Siloso Beach. To control the luge, all you have to do is to push and pull the steering wheel to accelerate or brake and steer it to the right or left for the lateral movement. Basically, it's like riding a bump car, minus the engine and the 'bump' itself - you need to avoid the obstacles. The only thing that powers the car is gravity. Weeeeeee it was fun! The 3-skyline 3-luge rides combo costs S$20. Definitely worth it. 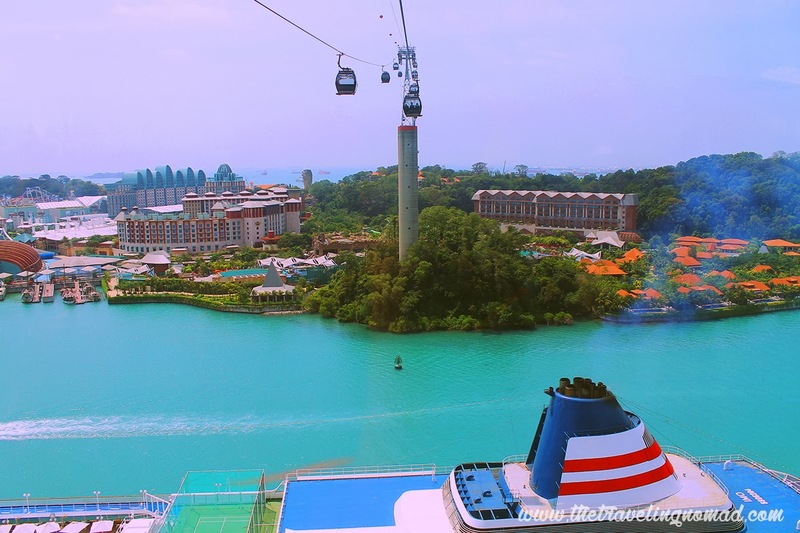 It's even more worth it than the cable-car ride to Sentosa. Oops. Here we go again. And to cap off the night, we went to Maxwell Road Hawker Center to try out Tian Tian's Chicken Rice. The famous American chef, Anthony Bourdain even highly recommended it. But before getting there, we got lost... a bit. But still, the point is... we got LOST. Lol. It's so fun to get lost, so get lost everyone! We rewarded ourselves with two rounds of this. Nomnomnomfest.com. Busog-lusog! One Chicken Rice costs S$4.50 only. Phew, I felt like I was in The Amazing Race, minus the daunting tasks. The heat, again, really drained me, but I had fun! Not bad for my first day in Singapore! 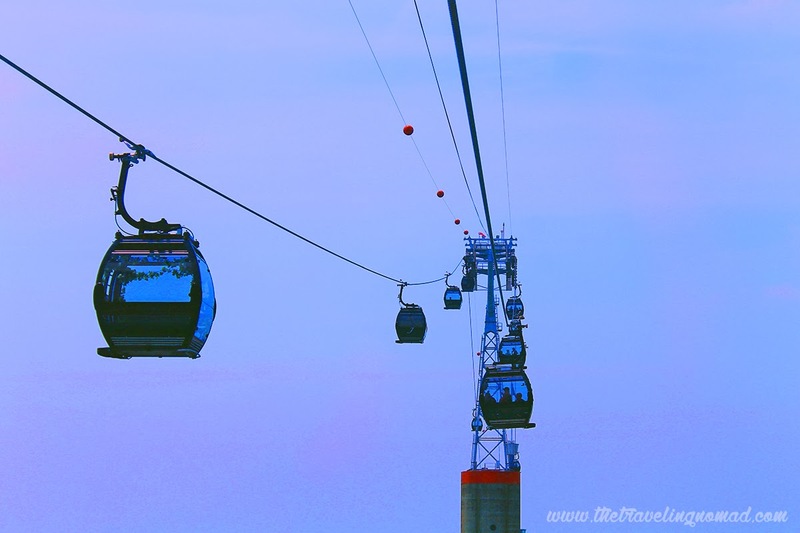 $26 Cable car ride is quite expensive compare to Genting Package which includes 60Ringgit (2way Cable Car Ride + 2 Way Bus + Buffet or Outdoor Park ). At least you enjoyed the view. Gusto ko talaga I try yung Singapore Eye sa gabi. OH YES IT WAS REALLY GOOD THAT I HAD TWO ROUNDS OF IT! 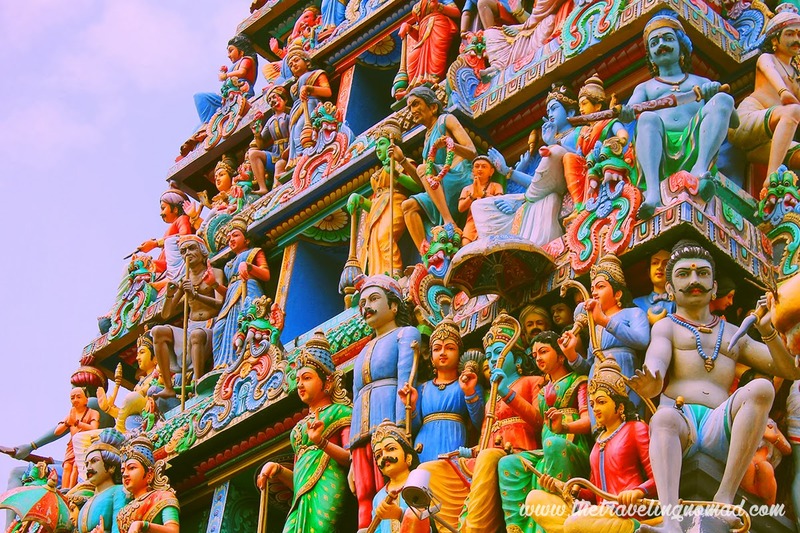 This makes me miss Singapore but I'll be there soon in April. 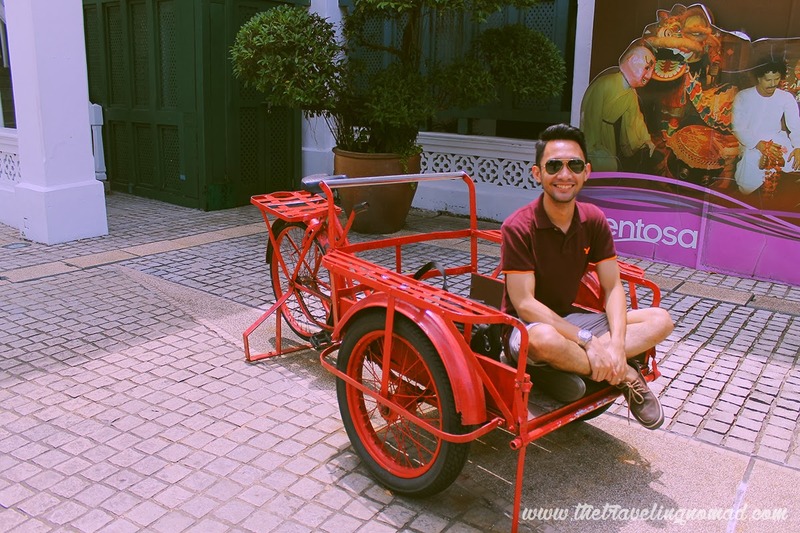 Sentosa is always a nice place to visit and Singapore has a new attraction every year. I miss Singapore. been there twice but I still want to go back there again. definitely bookmarking your site as I will be on Singapore in April. Much to enjoy for yourself; traveled with so many places. I love to go to Singapore because I admire their place as well as the people there because of their self-discipline. Wow! 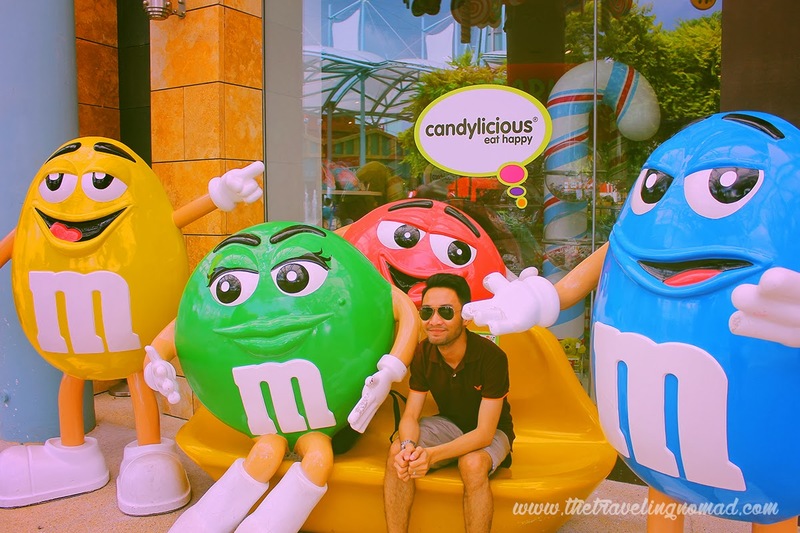 I miss Singapore. We have gone to these places but I still want to go back. Brings back good memories. 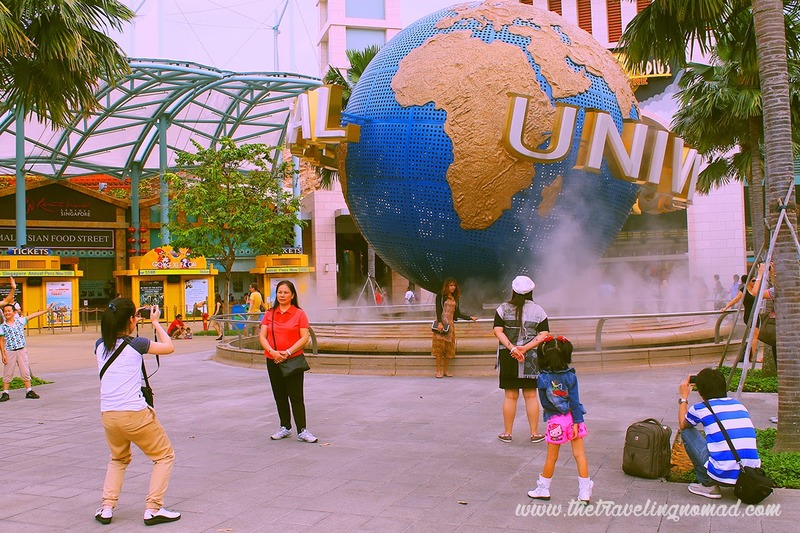 Touring in Singapore is really expensive but the costs are worth the fun and adventure in this cool country/city. 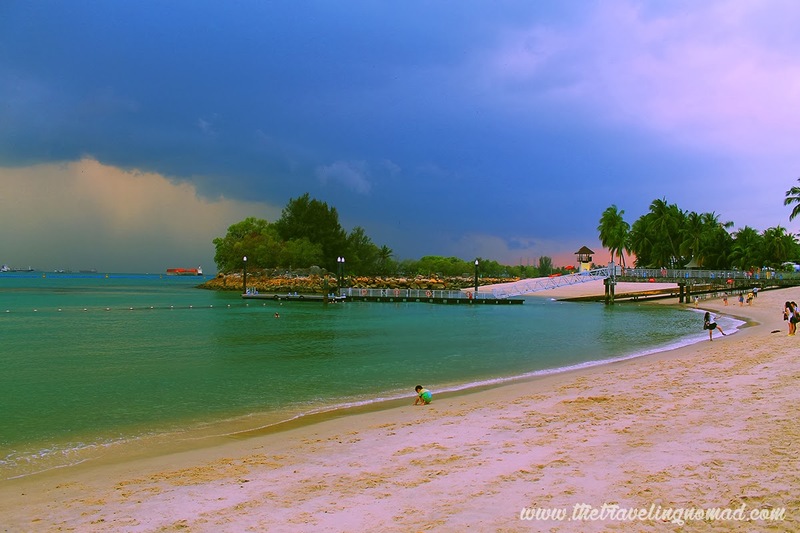 I miss Sentosa Island the most. Awww, I miss SG - like really. Having the tour is one of my favorite - the experience and everything is always worth it. Renz! 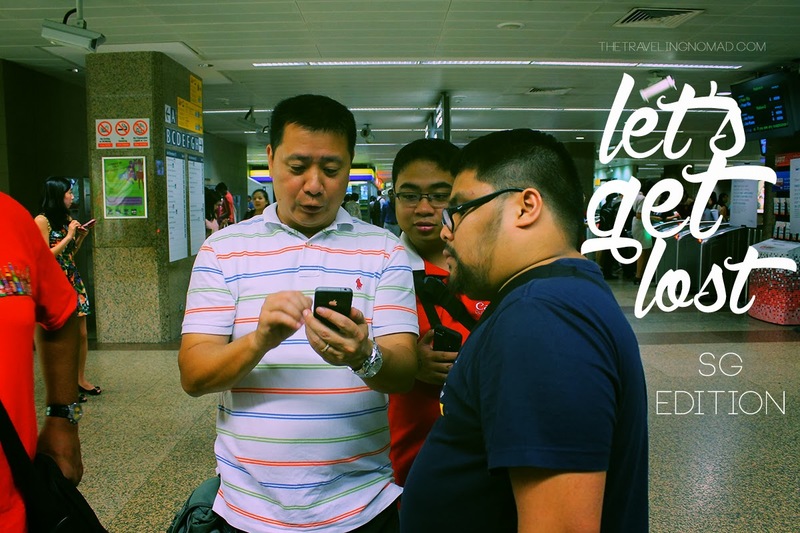 Mahappy jud ko ba pag-masaag ka sa akong blog :))) And mas maulaw ko sa imong mga photos sa imong latest post. Maka-sad lang ang imong pasalubong na pambully. Hahahahaha See you around! even by just reading ur blog i can feel the rush.hehe and that's almost everything in one day. I want to visit this place together with my family and friends. For me, traveling with them will possibly inexpensive(at least makakatipid kaming lahat). And doing all the activities can be a unique bonding experience. Very nice photos! I've been planning to visit singapore soon with my family. Your photos is like a tour in the city. I've never been to Singapore but I'm planning to next year. Thanks for sharing these, I now, know where to go. 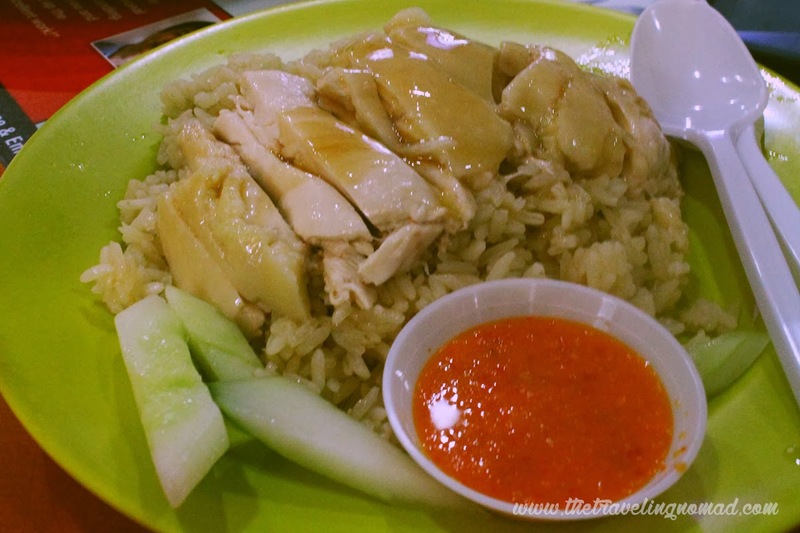 Just came back from Singapore and I did not know about Tian Tian's Chicken Rice. Sayang!